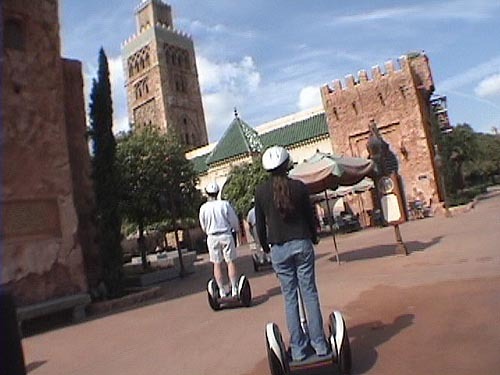 ...or "The Segway Around the World" tour at Epcot! 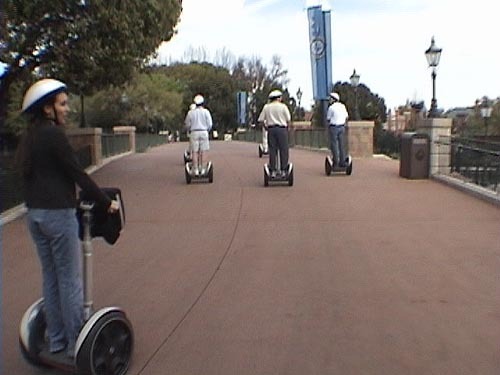 Click here to download our Epcot Segway Video at Walt Disney World! 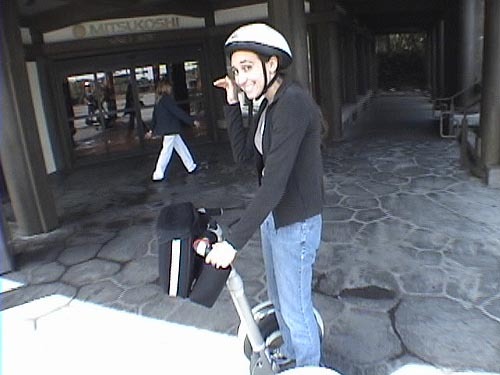 Our trip started off with doing something different....riding around the World Showcase in Epcot on a Segway! 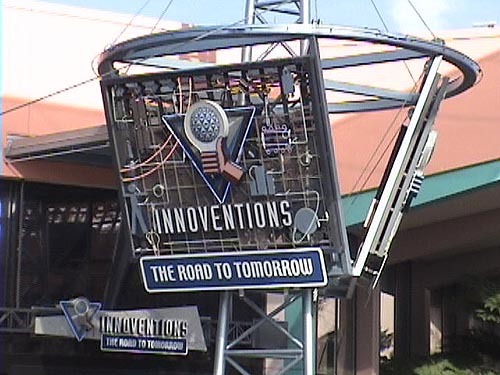 This special tour begins at the training center in Innoventions. 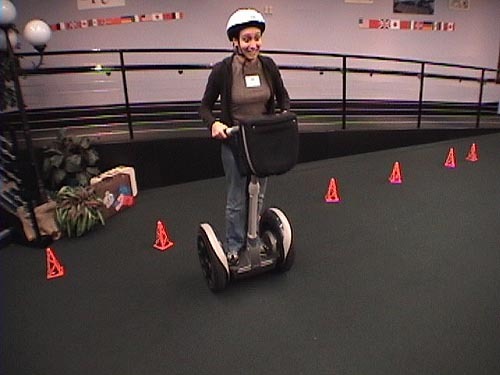 On the obstacle course you learn how to use the Segway. 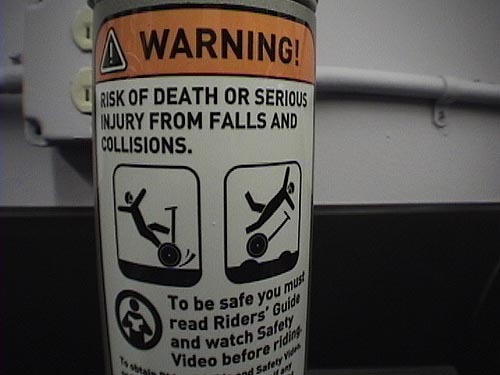 They went over all the safety features and warnings including *DEATH*!!!! ...including right through the....gift shops?!? In France Elissa says "Ohh la la.... 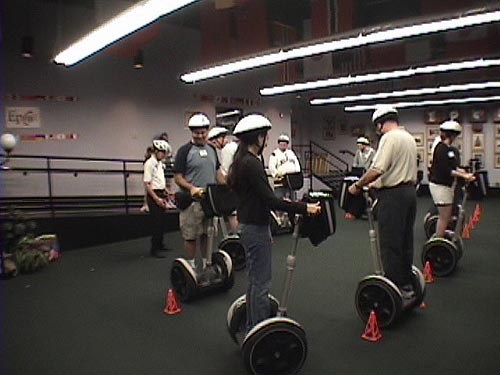 Le Segway!" 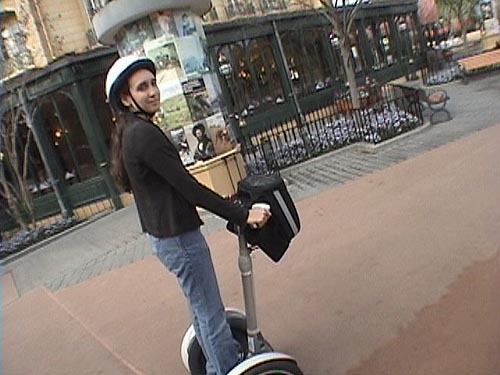 This tour was some of the most fun we've had at Disney World! We highly recommend it! 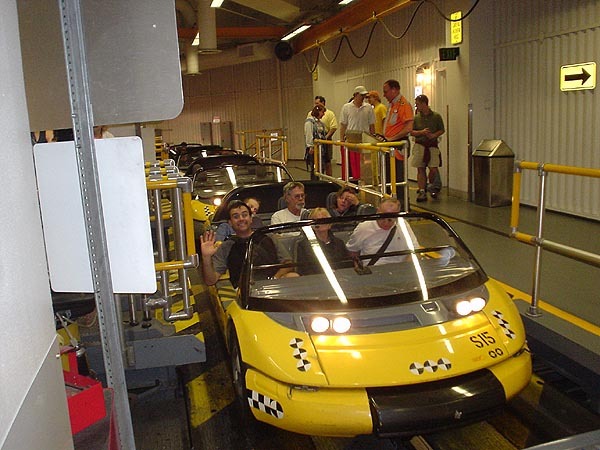 After the tour, we went on Test Track....and Derek tried to become one with the theming! 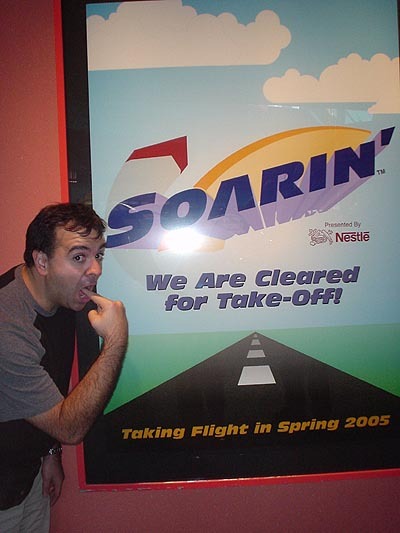 Here is our official "Soarin' Construction Photo!" 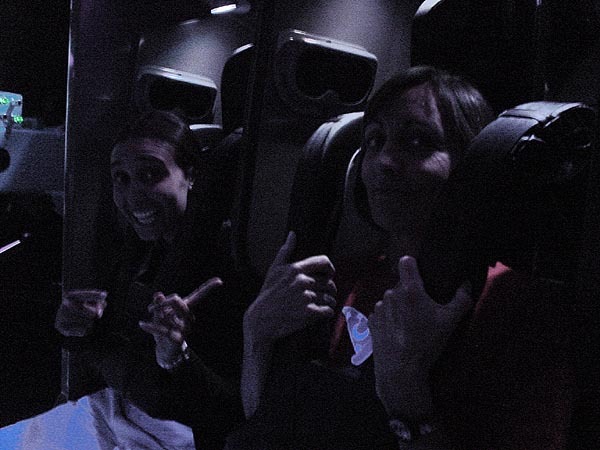 We got mom on Mission Space! 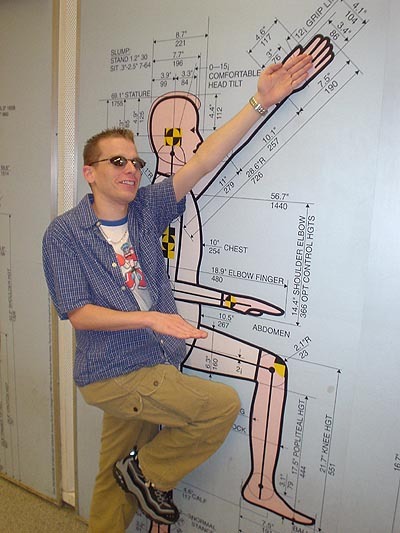 Hey look! 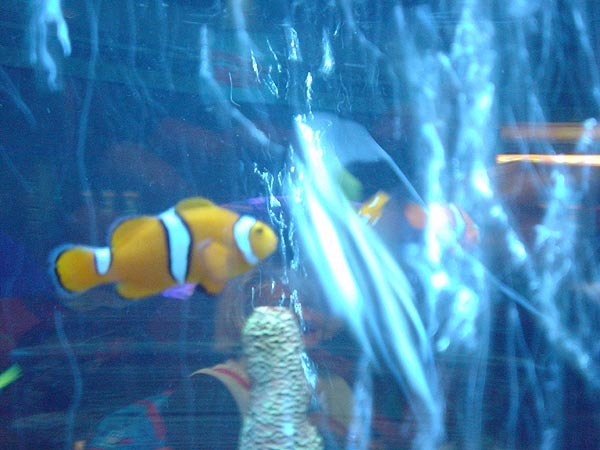 We found Nemo!!! 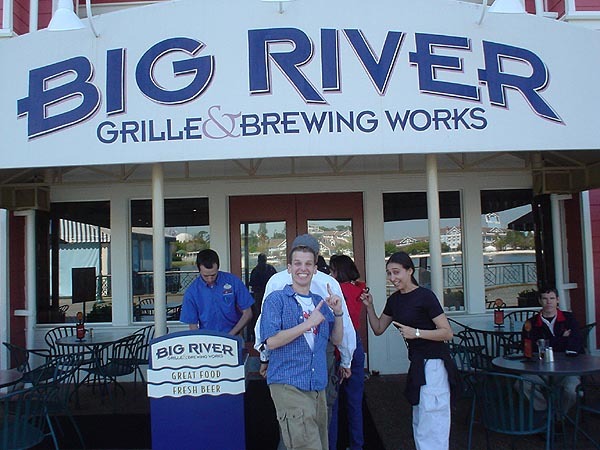 Is Derek even old enough to drink beer? 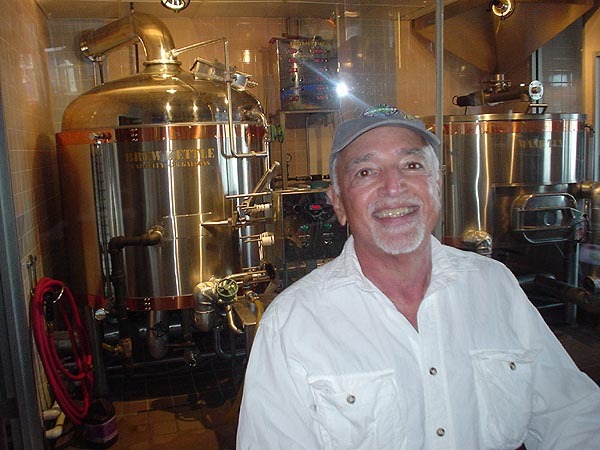 This was dad's favorite part of the trip! 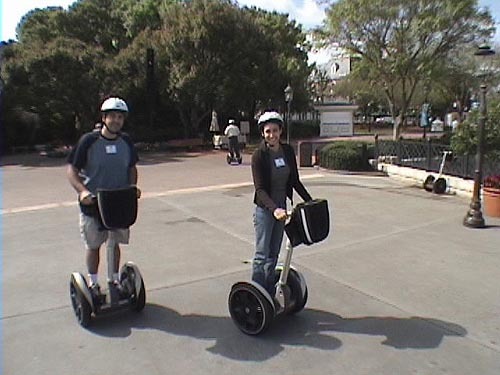 Click here for Page Two of Florida Theme Parks - Spring 2004 Photos!